Beautiful 3 story, spacious custom built home with Gulf views located in Inlet Beach has it all! This newly decorated home offers panoramic gulf views from the large covered third floor balcony, an elevator, wet bar on the third floor, custom built cabinetry, 10 ft. ceilings, 3 additional covered balconies, large walk-in closets, Jacuzzi tub in master bathroom, community pool, exterior shower, one car garage, and is a 2 minute walk to one of the few beach accesses that have public bathrooms, a ramp and lifeguards on duty! 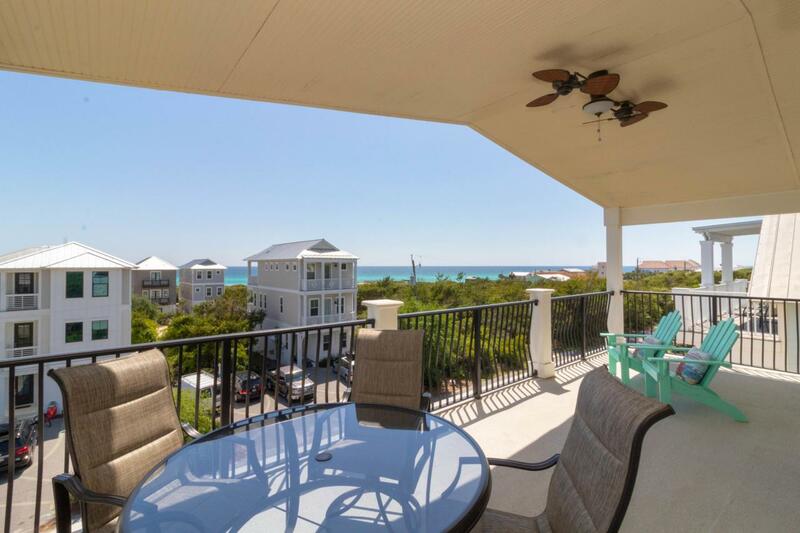 This home is in a prime location to Rosemary Beach and the 30A casual and fine dining restaurants, shops and entertainment. What else can you ask out of a beach house!